Miwa shook her hands to see Aoi and Takako. They rushed up to the hill with vigor. "A little more, if you cross the hill, you will come out on a big meadow, it's a nice place," Aoi said. Takako nodded. While running I felt the soft ground "Earth was so soft" There were times when I was being stepped on by animals and it looked like a road, but most of the ground was soft. It was enough to say that it was fluffy. "There are knacks to run fast, the hills and mountains can see what kind of state is waiting ahead by looking at the topography, but the grasslands are hidden in the grass and the topography is hard to understand, rocks and holes Horses are evolving to optimize for running, such as ears and eyes, that horses are hiding in the grass I can read the topography, there may be something special, but when you are looking at how to run, I feel like communicating with the ground, "Aoi said. "Do not you scientifically look at horses, that means they are surgical?" "The animal is sacred, the animal is sacred, she keeps the shiny with the plant, and she also protects the animal, both animals and plants are part of the shiki, they can be dissected and surgically organized "Horses have the ability to read the topography." That is all you need, and we want to gain that ability.When you get the body you will have an ego, this is also the time when consciousness only The feeling of getting something is the ego, and at the same time it is the driving force of evolution, because we have that ego, we are still evolving, "Aoi said. "So, what happened to the story of the horse?" "Oh, yeah, that's right, it's a story about a horse, our thoughts are" now "So sometimes I forget a little while ago, when I start talking about egos I forget the story of a horse. I thought that a horse communicates with the earth, so I thought about trying to communicate with the ground, but it is shiny that I always connect, "Shoshi calls out" Hello "on the phone." /> "Telephone?" "Parable stories, it would be easier to understand why you did that? Maybe the horse is connected to another part of the shiki, somewhere in the consciousness of the shiki"
"Well, you still can not communicate with the ground." "Yes, I can not do that yet, I can not do it yet, I can only guess by watching the way the horse runs.What kind of topography do you decide and what kind of grassy place do you want to avoid? You can not run just to run fast." "Do you dare to do something that is complicated like that?" "It's simple because it's fun," Aoi said. "Hey, let's stay over this prairie tonight, at night it will shine so hard that the stars are coming down, the stars are filled with stars filled with stars, that is beautiful it is the starlighted meadow." "That's a good idea, but is that not a time going on?" "Your body is shedding time according to your world.Your body is a beast but biorhythm is still the earth, it will be hindered by the rhythm of life when you are not affected by Kunne, so Kunne and Toka I had a day and a night created, and I want to see the evening for the first time in a while, "Aoi said. "Miwa was losing consciousness while playing.I understood it when I changed riff.I can not react even if I change riff if my emotions do not work, change of riff is only by mechanical ear reaction It is a change in the scale and rhythm of the musical notation, it can not react humanely without feeling accompanied there, Miwa convinced me that he lost consciousness, "said Chitchi. "I did not notice anything, Miwa was normal when the performance was over and the body was moving," Yu said. Mikiko asked, "How about Miwa?" "I noticed that I do not have memory during playing.I have a feeling that consciousness flies somewhere along with the performance and it will last as long as" sound "is going on, like that electronic piano "Sound." And when the sound disappears, my consciousness also comes back to my body, "Miwa said. Makiko asked "Is that today's story?" "A little while ago, everyone stayed in the studio until a while ago," Yu said. "Maybe the" sound "is ringing, perhaps consciousness is accessing somewhere else," Makiko said. "What do you mean?" Miwa asked. "Maybe there is such a thing other than listening to the universe," Mashiko said. "Is it Mr. Machoko's like that?" He asked. 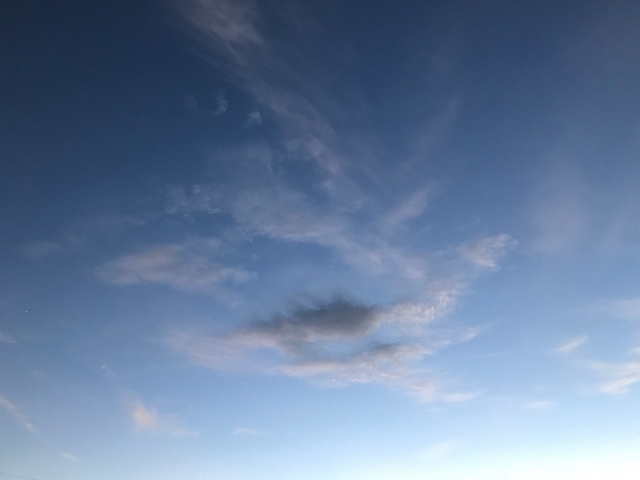 "It is not a separate system, but I think naturalists can connect with spiritual thought, it is my own flow, but I think that" humans receive great influence from outer space " In a sense it is a natural fact, "Makiko said. "Is that the influence of stars other than the sun and the moon, is not it?" Yu told. "Yeah, I like quite a bit of horoscope, I do not have details, but I know that influence is determined by the position of the moon and star, the influence that stars get opposite will also change, I also like to read such things." Said Makiko. "So what about" sound "to do," Tanabe said. "You probably do not want to play for a while because you do not know what will become of Miwa," Yu said. "Well, I guess this kind of thing is not normal and I think it can be cautious," said Titchi. "It's a feeling of activity pauses," Tanabe said. "I think ... I think I can try it a little more," Miwa said. "I do not feel bad after that, I feel like I'm sleeping in a way, there is also a mysterious feeling.I like Mashiko, if you are connected to the universe I guess I'd like to check it. You may also understand things and Aoi, I want to know the truth, I've always wanted it. "I am fine, if Miwa says that," said Titchi. "I am lonely that I can not tune the sound." "Is it really okay?" Yu asked. "That's why I feel asleep, a very pleasant feeling," Miwa said. "It would be nice if Miwa is good, but I will stop it if it makes you feel strange," Yu said. "I am a bit worried, I will not be able to return or something like a sequela may come out," Tanabe said. "Thank you Tanabe. Tanabe is gentle, I finally realized, I have a very kind heart," Miwa said. "What's wrong? It feels bad, I heard such a word from you for the first time," Tanabe said. "I also realized that," Miwa said.